2014 was a funny old year. In my head it wasn’t a very good running year, probably because I didn’t get any faster. No PBs for me, and that worries me that old age is catching up, the nagging fear of getting worse before I have managed to get better. 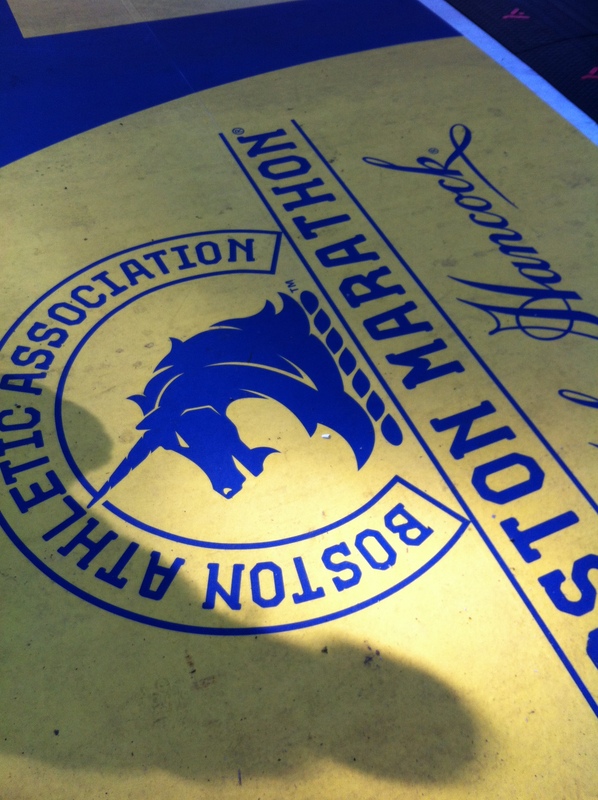 I had started the year coming back from a long lay off with a niggly achilles and with a desperate desire to make it back to Boston I trained very cautiously, managing mileage and intensity very carefully. Because I wasn’t doing speed work I never lost any of my winter padding and never quite hit a decent racing weight all year. Yet despite the perception of the year being little more than ok, there was still a lot of stuff done. It wasn’t a bad year, some of it was even done quite well, just not brilliantly. 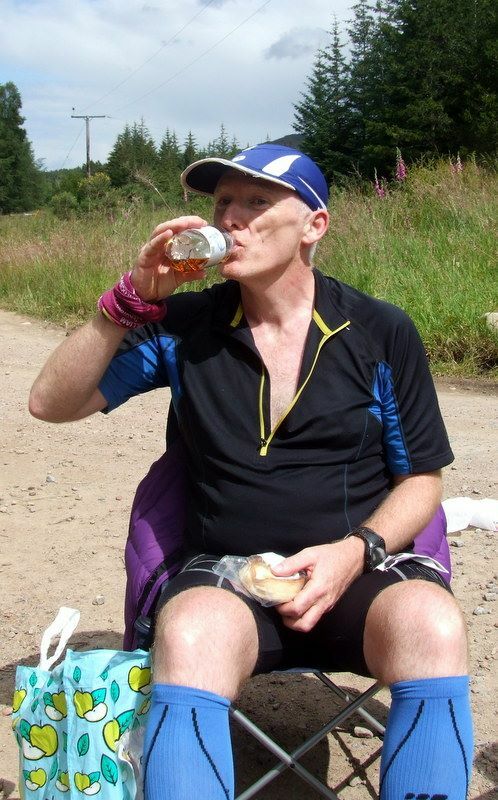 Cateran Trail 55 ultra – my first ever running prize. First old git. CCC – chewed me up and spat me back out, but I survived and finished feeling well. All of those races were steady and unspectacular performances and I guess that was the big lesson of the year. For me to do well in ultra races I need to learn patience, humility and then some more patience! Slow down over the first half, and run with your head not your heart. Blood, guts and snotters might serve you well in a 10K or a half marathon, but in an Ultra it just makes the second half of your race a misery. The other big lesson which was repeated throughout the year is that I will feel like crap at about 16 miles, then again at 26 and probably again at about 40. After that it seems to get easier. Just got to trust that if you keep moving forward your legs will come back and true to form I have finished every race strongly this year. Despite having run a few ultras previously, I never ever considered myself to be an Ultra runner. I was your average plodding old man up for a challenge and getting by on pig headedness. I was envious of those lucky souls who could head out and seemingly effortlessly run for hours on end whereas I was always the one blowing out his backside. Yet somewhere between Great Glen and picking up the coveted Gilet in Chamonix, I reached the conclusion that maybe I was an ultra runner too. Aside from racing, other lessons were to be learned over the course of the year. I was lucky enough to be a support runner for Amanda Hamilton in this year’s West Highland Way Race. Amanda had a brilliant performance and showed real mental toughness on that last section over the Lairig Mor in the dark. Being responsible for getting her there and having to think about every step in the process will undoubtedly help me the next time I have a bash at WHW for myself. 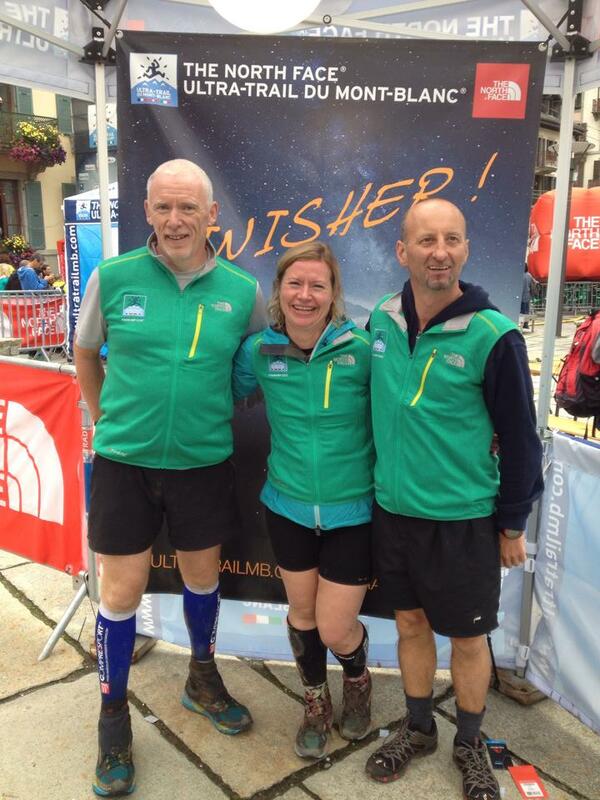 CCC finishers – Ultra Runners All! I even did something completely new – I was the sweeper at both the Clyde Stride and Jedburgh ultras this year. Apart from being chuffed to be asked, I thoroughly enjoyed the experience on both occasions and being forced into not having any performance pressures was undoubtedly good for me and while I didnt quite learn to smell the roses, I did find that spending hours either in the company of, or searching for, the legend that is Ray McCurdy an interesting and enlightening experience. Rumour has it, I was even nice to the runners I was sweeping though of course I will deny that vehemently as slanderous. Throw in marshalling sessions at Glenmore 24, WHW, and Glen Ogle and I was involved in one way or other in most of the Scotish ultras this year. So actually, when you write it all down, maybe it wasn’t such a bad year after all. I got to do some big bucket list races, managed to give something back to the community and spent way too much time in the brilliant company of the usual suspects. 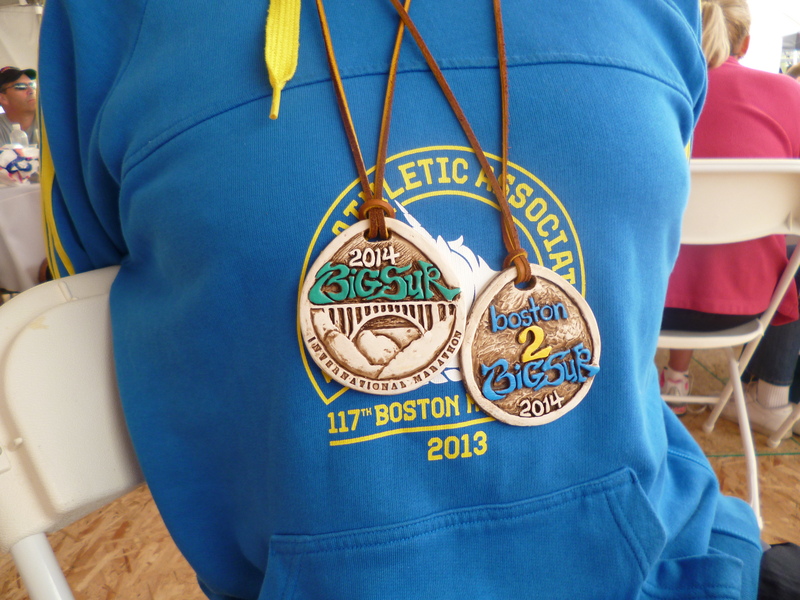 I might even have become an ultra runner somewhere along the way! I am a great fan of warming up. One of my great frustrations is watching runners who do Parkrun stand around with hands in pockets before setting off for a 5K run and then wonder why it feels hard and why they never quite perform as well as they would like. Same applies to new runners. They really struggle to get through the first 10-15 minutes and think they can’t run. Too often they give up before they have even warmed up. The answer is of course quite simple. It takes a while for your body to warm up and function efficiently and of course on a 5K run, by the time you are warmed up, not only are you are carrying a massive oxygen debt, with stiff screaming muscles and lungs, you are also at least halfway finished so don’t have much time to get the benefit of your now efficient body. 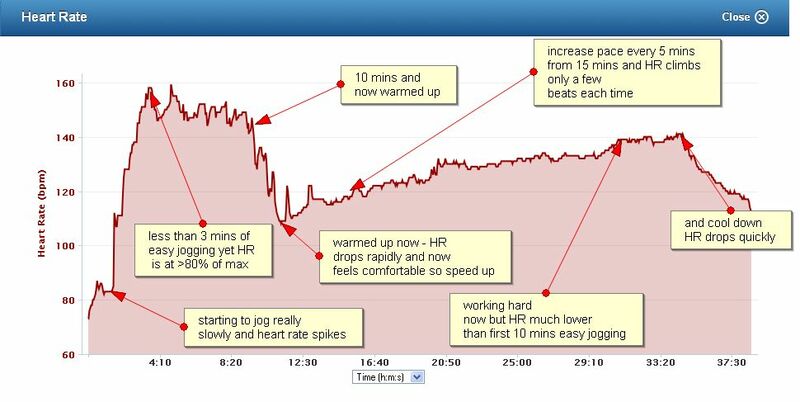 A wee run on the treadmill tonight with the HR monitor on illustrates this perfectly. I set off jogging really easily, yet my heart rate was more than 80% of maximum. It took 10 minutes before my HR dropped like a stone and I instantly felt much more comfortable. I then increased my speed and did so every 5 minutes. Each time I increased speed my HR went up a little, but even though I was working quite hard by the end of the run, my heart rate was still 20 beats per minute than it had been while jogging easily at the start. So sang the Pointer Sisters. This probably dates me to an alarming degree but it feels like recent history to me. Unexpectedly my haircut didn’t cure my achilles problem after all so it was back to the physio again this morning. My usual torturer is on holiday so today I had a different pair of hands on me. It was interesting to feel the difference in technique, I guess everyone has a different touch. I had to recount the whole sorry story and have him explain that maybe I had tried to do a wee bit too much too soon. He also dispensed some home truths which hurt a wee bit more than the work he was doing on my achilles. Could be out for another 2-3 weeks? Hmmmm, not good news, especially with a marathon in 6 weeks time. Rush back and you could be in for a whole heap of recurring problems. Yes, I know but…. 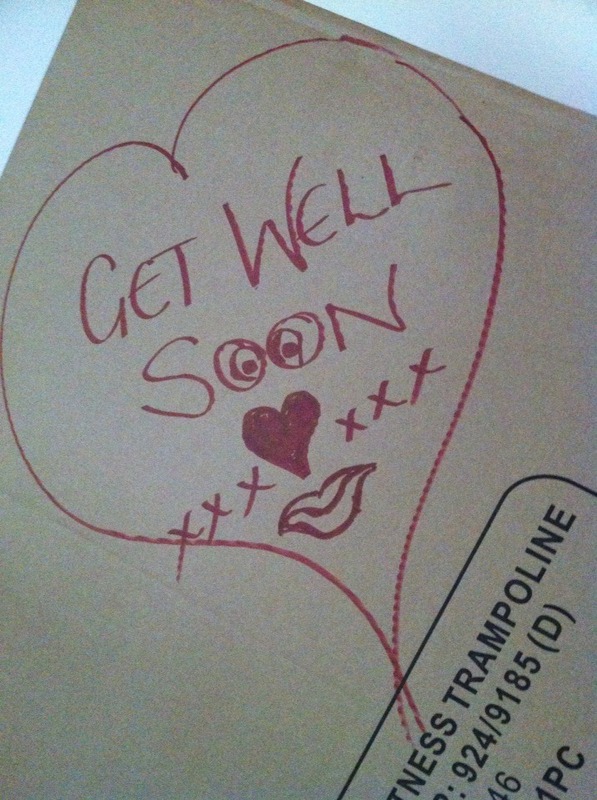 On the plus side when I arrived home I discovered a large box courtesy of my lovely wife Helen who had bought me a small trampoline. The trampoline serves two purposes, firstly jogging on it is really good rehab for my achilles and secondly it keeps me in the garage exercising in the evening instead of sitting grumpily at my computer. First inkling that my achilles might be starting to feel better came this morning with a haircut. Not a racing haircut, but a running haircut. Its a significant phase in the rehab process. If I can survive a day or two with no adverse reaction to my haircut, I might be able to progress to gentle jogging.